Tungsten copper electrical contacts are subjected to extreme mechanical and thermal stresses during operation. For fractions of a second, temperatures rise to several thousand degrees as a result of the arcing. 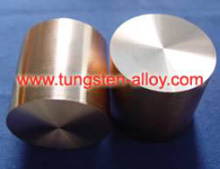 Our tungsten copper alloy electrode materials are used because of tungsten copper alloy electrode unique physical properties. Tungsten copper alloy electrode material offered by us is high quality. We can provide all kinds of tungsten copper electrode as your requirements. 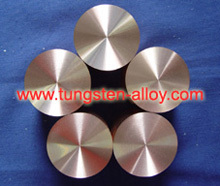 Tungsten copper electrode is easy to be machined. Tungsten copper electrode advantages: pure tungsten and copper, tungsten copper electrode uniform material, low content of gas and impurity, very high burn-off resistance, excellent thermal and electrical conductivity, all necessary joining and machining processes. If you have any interest in tungsten copper electrical, please feel free to email us: sales@chinatungsten.com or call us : 0086 592 512 9696, 0086 592 512 9595. We are at your service.